Here at testmunk we are big fans of Slack. We use it daily; it makes collaboration easier and work more productive. We also, of course, spend a lot of time thinking about how we can make the lives of developers and QA engineers easier, especially when it comes to their mobile app testing. We are therefore excited to share that, starting today, in addition to our REST API and email notifications, our clients can report Testmunk test results to a Slack channel as they are executed. 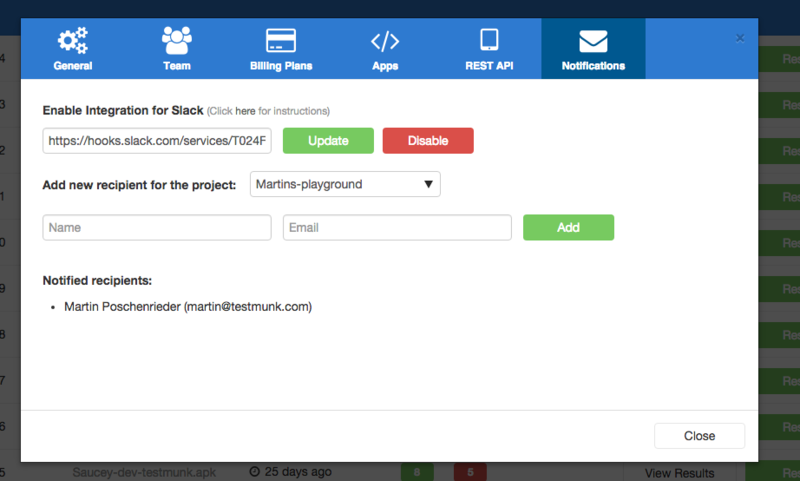 Testmunk - Slack integration allows you to post test results from your test runs directly to a specific slack channel. Slack integration can be set up by accessing Account Settings (top right dropdown) -> Notification Tab. 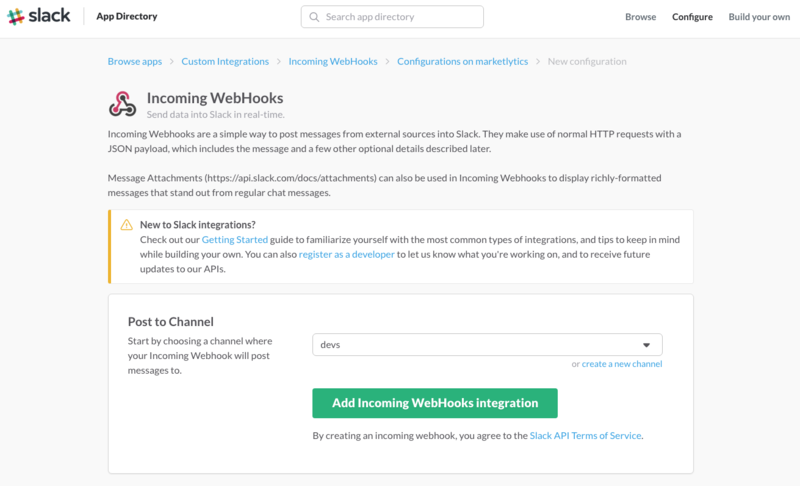 Choose the channel where the notification should be posted, and click Add Incoming WebHooks integration. 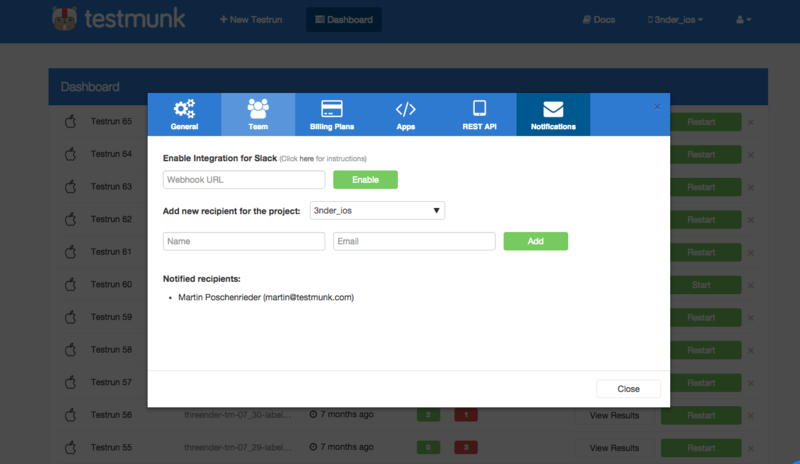 Go back to the Testmunk settings page and paste the Webhook URL; then click Enable. 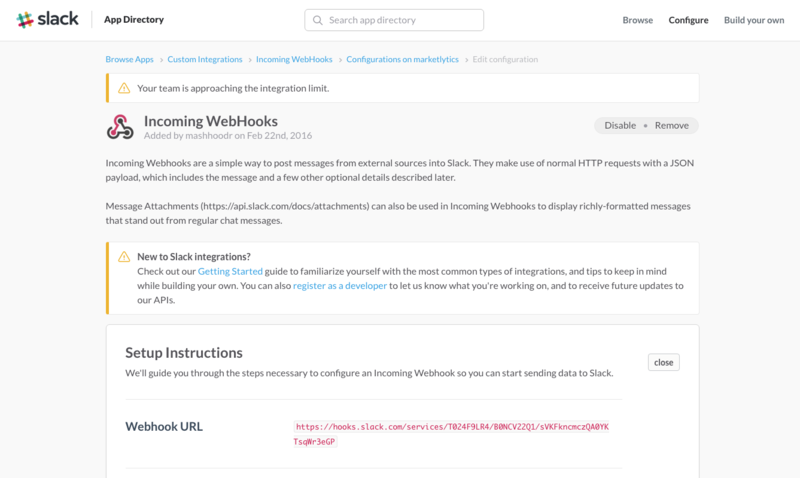 Start a test run and get the notification in Slack! It’ll be like the example notification at the top of this post. If you want to disable the notification, simply access the notification tab in settings again and click Disable. You will no longer be notified of the test runs in slack.